Google's flagship Pixel 3 XL smartphone is less than six months old, but the company is already deep into development on its successor. While the Pixel 4 XL will not launch until nearer the end of the year, Google is working on the handset now. In fact, this week we learned more about the camera technology on the Pixel 4 XL thanks to some new renders of the upcoming device. Two important changes will be made to the design of the Pixel XL. Specifically, Google will follow the recent high-end Android trend of a hole-punch screen and will also embrace a new camera configuration on the back of the handset. According to a leaked image discovered by SlashLeaks, the Pixel 4 XL will have two cameras on its rear. Ok, you are probably thinking most flagship devices have three or more camera lenses, and you'd be right. Google has always approached smartphone imagery differently to other OEMs and the Pixel 2 XL and Pixel 3 XL only have one rear camera. Instead of using multiple lenses to create different imaging capabilities, Google leveraged its market-leading AI and machine learning technology. The result has seen the single lens of the Pixel smartphones achieve image quality other smartphones need multiple lenses to match. It is a strategy that has worked as Pixel cameras are considered amongst the best in the industry. However, for the Pixel 4 XL, Google seems to be embracing a multiple camera setup. The linked device drawing you see below shows the smartphone with two lenses. Considering Google has managed to use a single lens to create a stunning smartphone camera, we are really excited to see what the company will do with two. 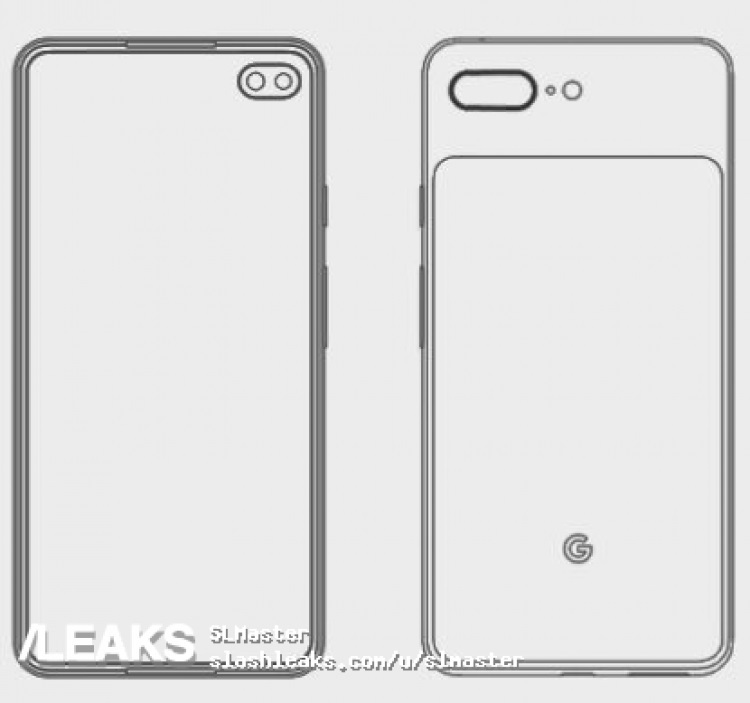 The drawing also shows Google will use a hole-punch screen for the Pixel 4 XL, a design element that was backed up by renders that leaked this week by iDroidbg. Google has previously followed Apple's path of using a notch to house the front-facing selfie camera module. While a notch is not a deal breaker, I have often found it slightly obtrusive. My smartphone activity revolves around sending messages on WhatsApp, playing games, or browsing when looking for a pa iLotterybonus code. In all cases it is hard to ignore the notch jutting out from the top of the screen. The answer to that problem is the hold-punch display, which is becoming a smartphone trend in 2019 thanks to the Samsung Galaxy S10 Plus. Google has noticed this trend and it seems the Pixel 4 XL will now have its selfie camera embedded into the screen. 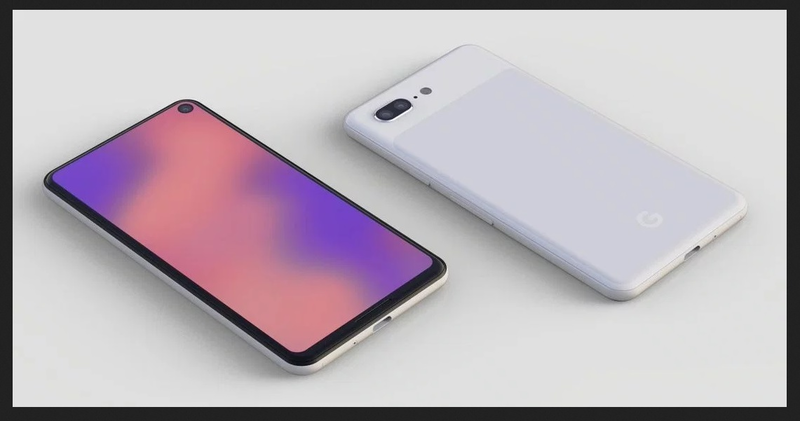 Interestingly, both the render and the drawing show that the Pixel 4 XL will come without a fingerprint sensor on the rear. All previous Pixel smartphones have housed the fingerprint scanner on the back panel below the camera. On the upcoming 2019 model it seems Google has followed OEMs like OnePlus and Samsung by embedding the sensor within the screen.